Asia Regional Suzuki Association (ARSA) is the only regional association recognized by the International Suzuki Association( ISA) in the Asia region, with the exception of Japan.In July 2014, the ISA moved for the official dissolution of the name agreement with Asia Suzuki Association (ASA) registered in Korea, including all sub license name agreements to country associations in ASA. As a result of this action, all Country Associations holding sub license agreements with ASA no longer have a legal right to use the name ‘Suzuki” in their country association name, or use the name “Suzuki” in connection with their services, programs, and course offerings. Thereafter, ISA, (represented by Paul Landefeld and Gilda Barston) took a direct hand in reorganizing Asia’s regional association into what it is now: Asia Regional Suzuki Association (ARSA). ARSA is a nonprofit association registered in Guam, USA. The name agreement between ISA and ARSA was signed in Manila, Philippines on May 1, 2017 by Paul Landefeld (ISA interim CEO) and Carmencita G. Arambulo (ARSA current chairperson). 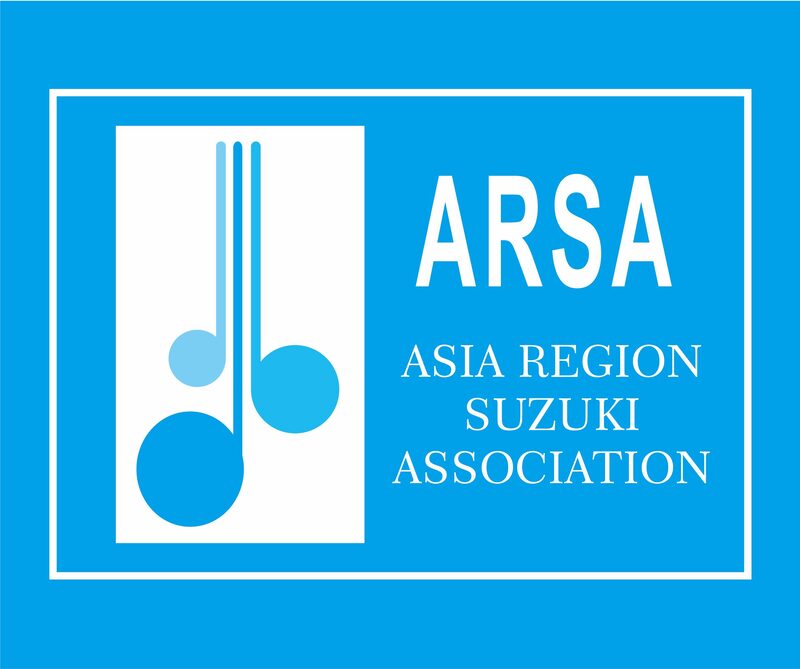 The ARSA full country association members are as follows: Philippine Suzuki Association (PSA), Suzuki Music Association of Indonesia (SMAI), Taiwan Talent Education Association (TTEA) and Suzuki Talent Education Association of Singapore (STEAS). Associate country member is Thailand Association for Talent Education (TATE). Talent education country group is the Talent Education Group of Malaysia (TEGM). The recognized provincial organization in China is Fujian Province Music Talent Education Association, China (FPMTEA), and special Area group is Hong Kong Area Group (HKAG). Under the name agreement, ISA grants to ARSA the right to grant sub licenses to country associations which are committed to Dr. Suzuki’s philosophy, its teaching methods and other services provided by ARSA. ARSA is in agreement with ISA policies for regional associations and its bylaws. ARSA recognizes the goodwill associated with the “Suzuki” name and all its rights and goodwill associated with that name and mark belong to ISA.